The Loggerhead Sea Turtle spends most of its time in the water. They are able to move easier and faster there than on land. They live in many regions where it is warm including Florida. At this point in time though they are considered to be an endangered species. 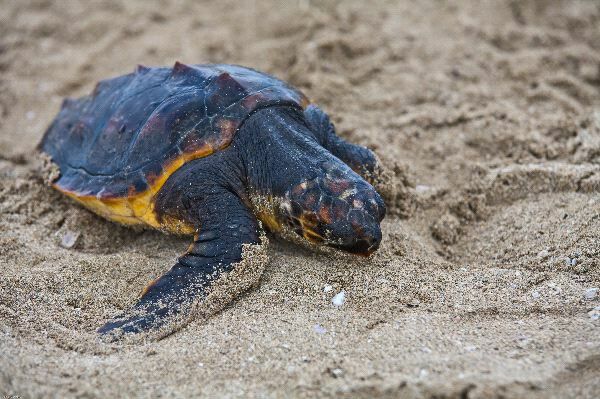 The Loggerhead Sea Turtle suffers due to the pollutants that are found in the water. They have also been harmed by human activities such as boating. Their diet consists of invertebrates and sometimes the remains of fish that other predators left behind. They have a very large head and they migrate long distances annually for mating.